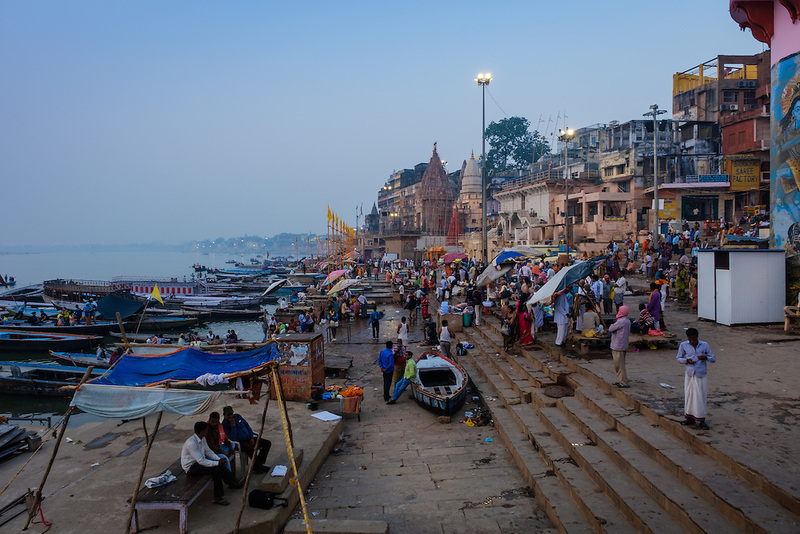 VARANASI, INDIA - CIRCA NOVEMBER 2016: Dasaswamedh Ghat in the Ganges river early morning. The city of Varanasi is the spiritual capital of India, it is the holiest of the seven sacred cities in Hinduism and Jainism. The Ganges is also considered a sacred river.